Kyle and Emily strive everyday to create the best experiences for Vega’s campers and staff through their love and knowledge of camp, and positive outlook on life. Their passion for camp started at a very young age as a result of their own camp experiences. Kyle was born into the camping world and spent his first summers at Camp Vega before attending Camp Winadu and Camp Takajo. Nearly every summer of his life has been spent as a camper, counselor, sports coach, program director, staff recruiter and now, director. Kyle went to Bowdoin College and Emily went to The University of Puget Sound. They met during a college semester abroad in 2001, and were married in 2006. Emily fell in love with Vega during her first summer as a counselor in 2002. Her summers were spent as a camper with the girl scouts in Colorado and then several years at Teton Valley Ranch Camp in Jackson Hole, Wyoming. Since 2002, Emily’s roles at Vega included equestrian and bunk counselor, junior group leader, staff recruiter and now, director. Kyle and Emily are completely committed to each camper’s happiness and take the time to get to know every girl and her family. Their knowledge of camp extends to all areas. 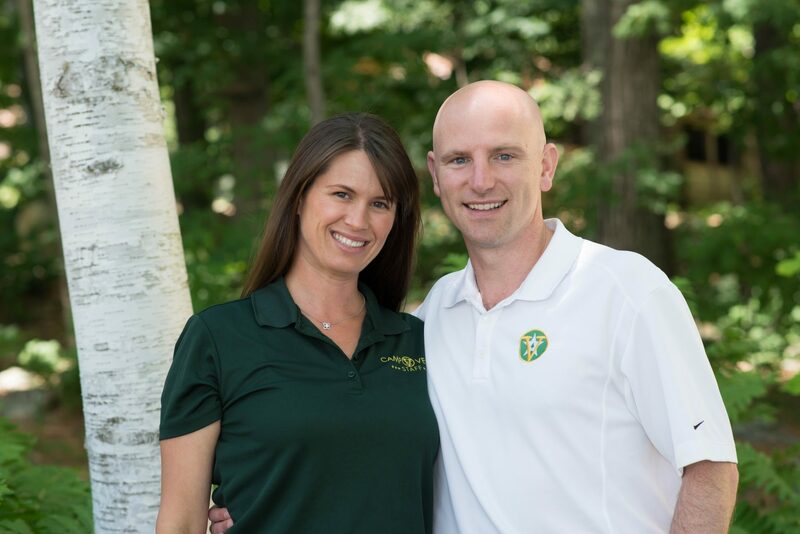 Kyle specializes in staff and program, and Emily focuses on camper well-being and bunk life. They have two boys: Paxton was born in 2010, and Cameron was born in 2014. As parents, Kyle and Emily understand the trust that parents place in them and their staff to care for the girls who call Vega their summer home. They welcome each camper who comes through the Vega gates as family, and believe wholeheartedly in the magic of camp and the power it has to transform lives.